CPR and First Aid Certification courses are taught using American Heart Association (AHA) course materials and all instructors are certified by the American Heart Association. Instructors go through re-certification every two years to stay up to date with current guidelines. 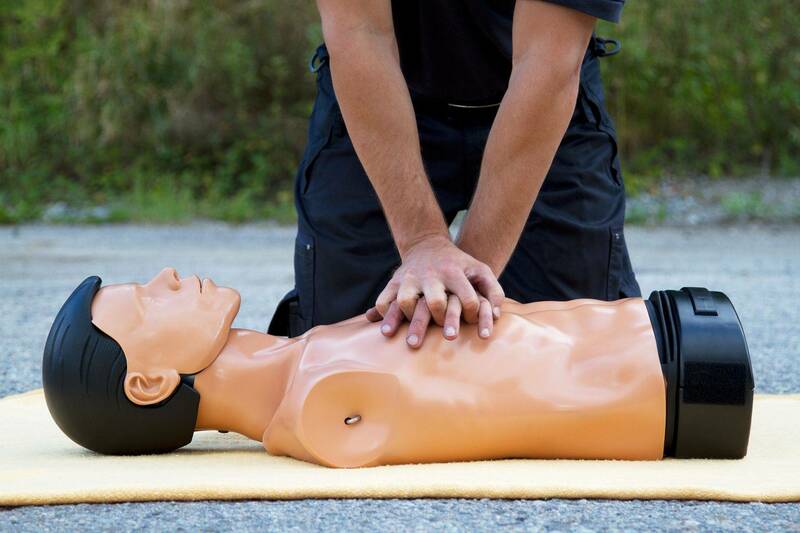 We offer a variety of CPR certification courses to fulfill the needs of your specific industry. All AHA certifications need to be re-certified every two years. Adult CPR, Child and Infant CPR, and the use of the AED. This class is geared toward the lay rescuer in a variety of environments such as: manufacturing and warehousing; office staff; non licensed caregivers; daycare workers; teachers; coaches; parents; and anyone who would like to learn CPR for personal use. This class can be tailored to the specific environment and can be taught with First Aid. This class is approximately 2.5 hours. An initial response to an emergency or injury and medical emergencies such as: heart attack and stroke; injury emergencies like bleeding; environmental emergencies that include poisoning and heat stroke. This course runs for approximate three and a half hours. This is an alternative for healthcare professionals with a busy schedule. Certification is available only after the online re-certification course, titled “BLS for Healthcare Providers Online Part 1” is completed. Part 1 of this process is registering and completing the online re-certification portion of the course (American Heart Association fee separate). Part 3, the Skills Test and Check-off Session with off of our staff. Go to www.onlineaha.org to register for Part 1. Once you have a printed certificate, please call our office to schedule Part 2 & 3.